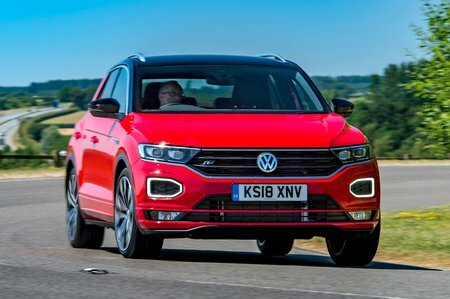 Volkswagen T-Roc Design Review and Deals 2019 | What Car? Comes with all the SE upgrades plus styling enhancements such as a contrasting roof, windscreen pillars and door mirrors, privacy glass, sportier bumpers with silver trim and a body-coloured dashboard. It’s the one we’d go for.